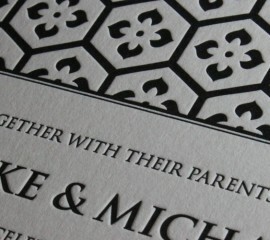 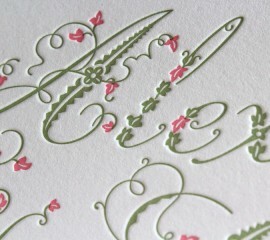 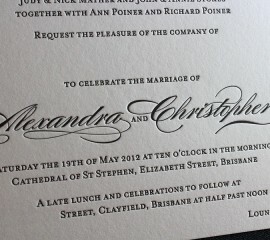 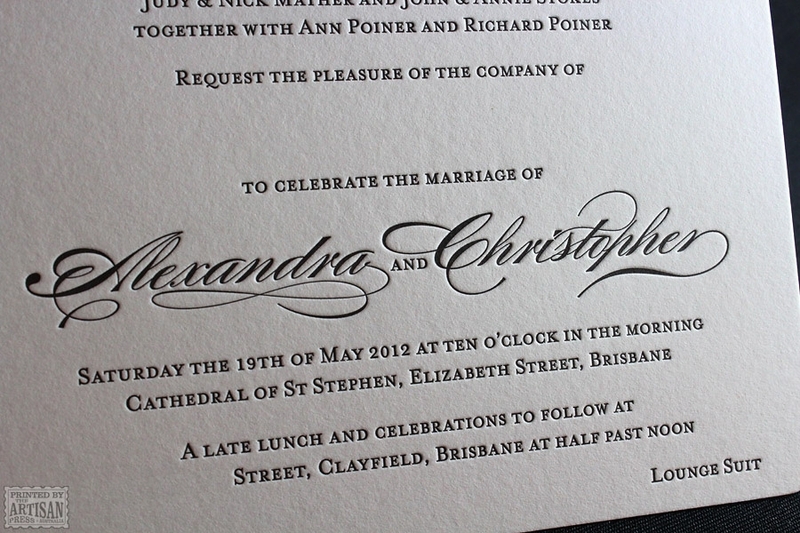 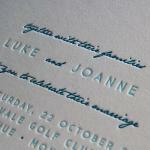 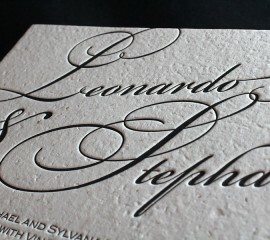 A heavy impression on the text was requested by our client. 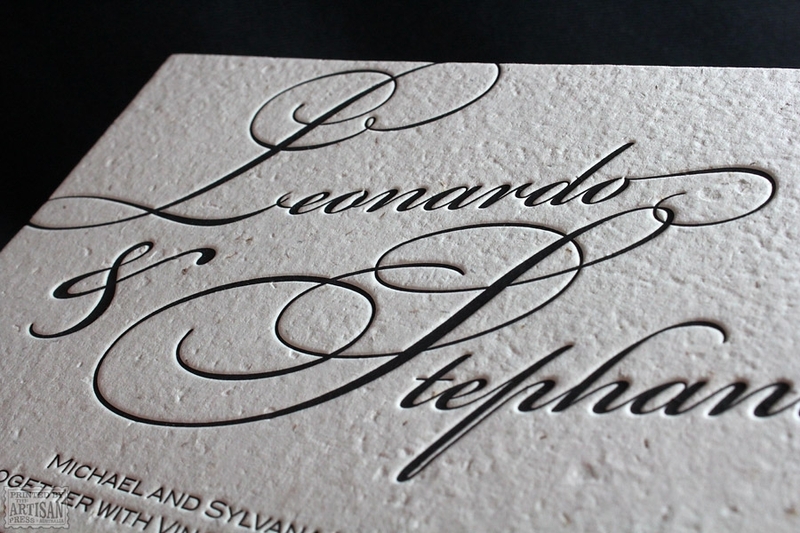 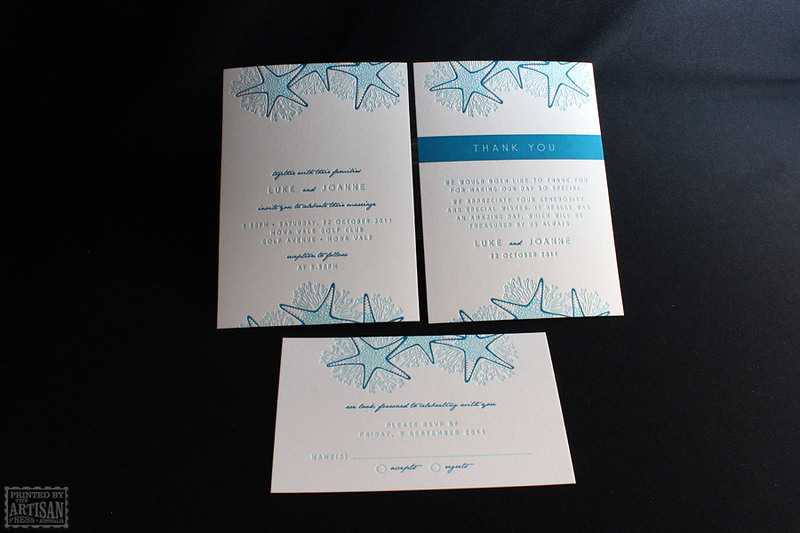 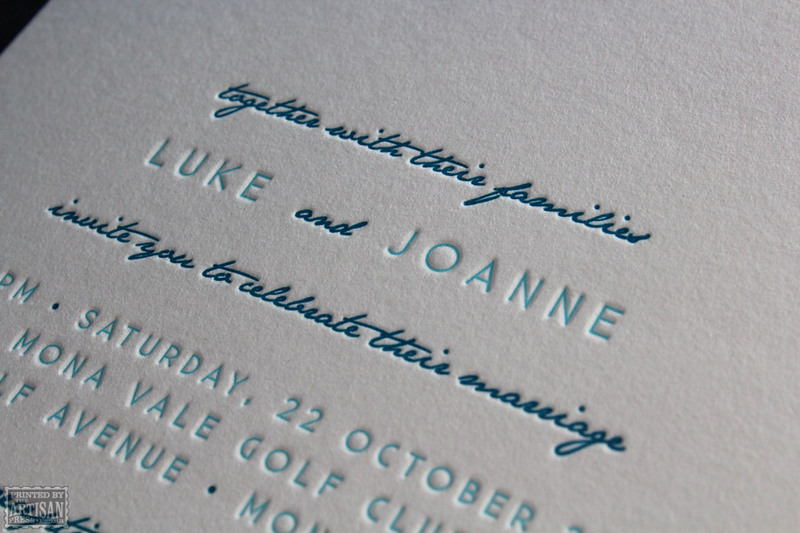 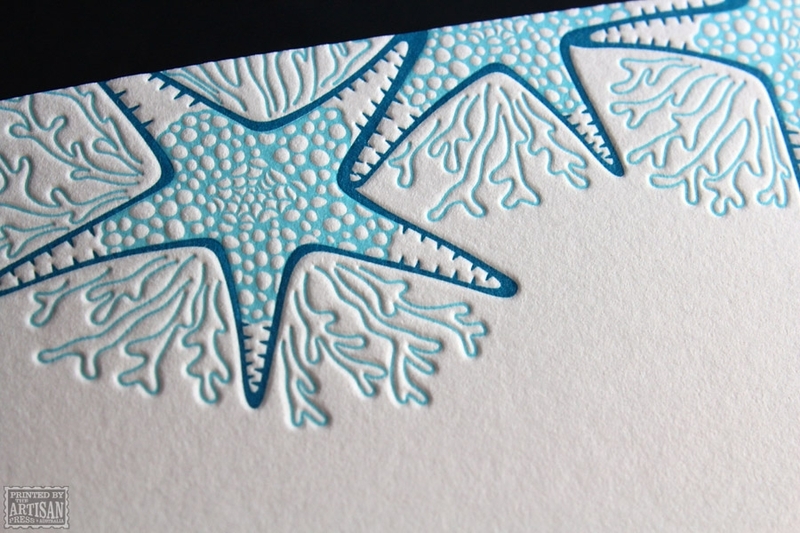 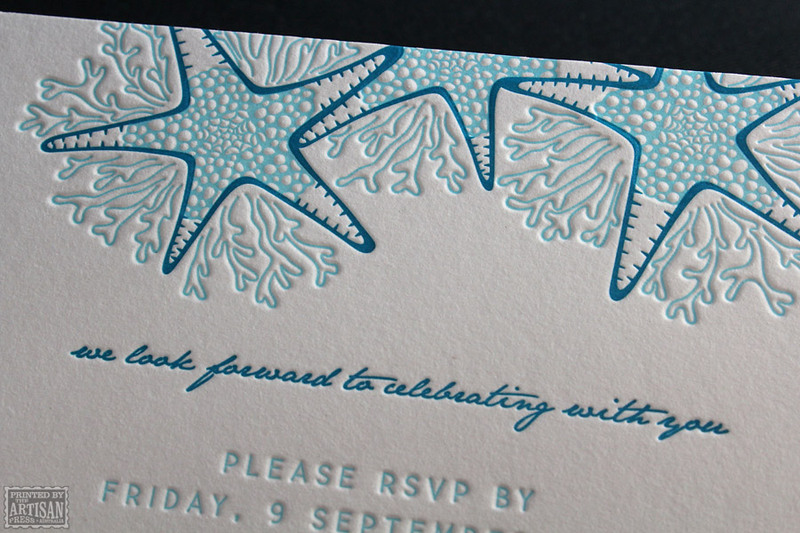 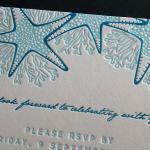 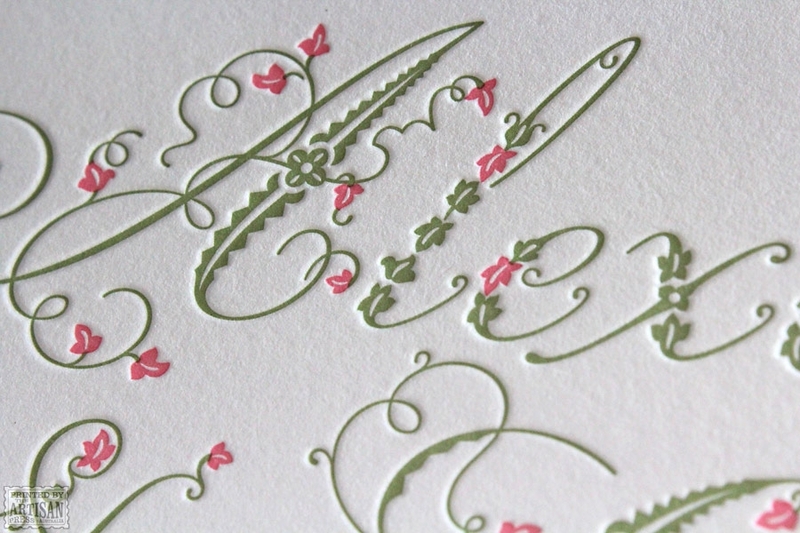 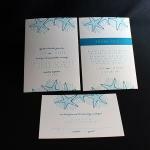 We balanced this with a delicate approach to both inking and impression on the sea life. 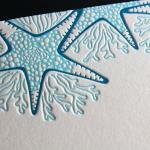 The extremely fine detail in the centre of the starfish is kept clean and open.